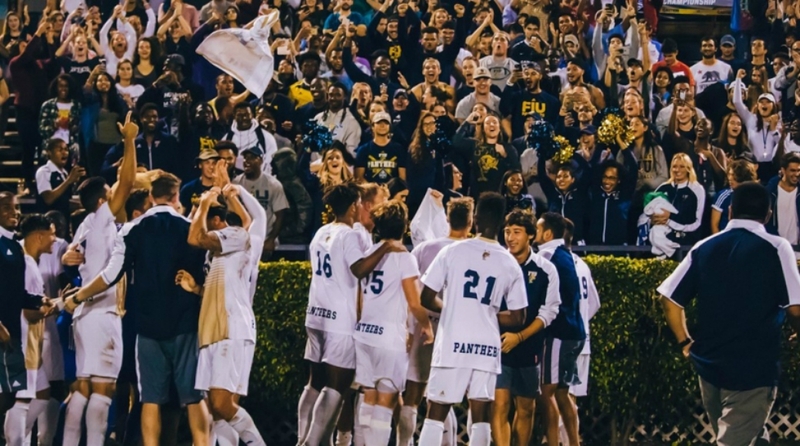 A crowd of a thousand-plus fans packed into the bleachers at FIU Soccer Stadium on a cool November night counted down the final seconds of regulation and soon the celebration began. 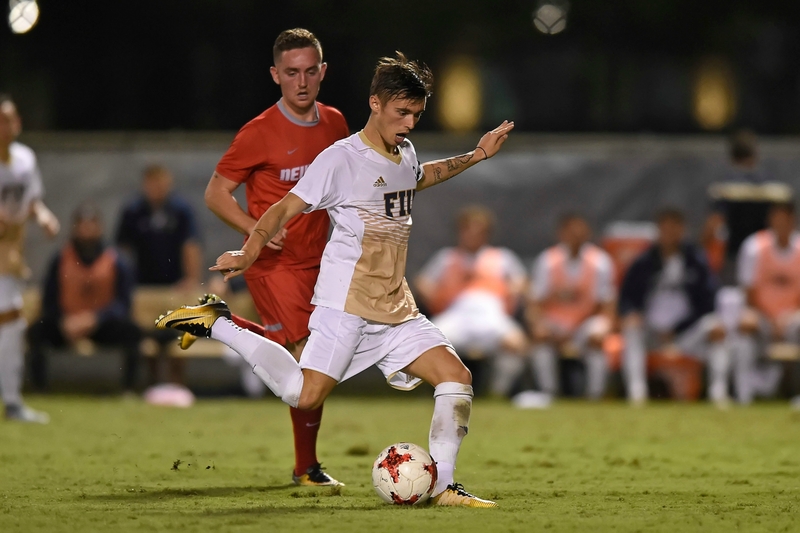 The FIU men’s soccer program fought to a 2-0 victory over Omaha in the first round of the NCAA Tournament. After the game, players and coaches lingered, making their way over to the stands to greet and thank the fans for sharing this moment with them. Nobody was in a hurry to get to the exits. The win was the culmination of a special season. For the first time in program history, FIU completed the regular season undefeated and peaked with a No. 8 national ranking – its highest mark since 1996 when the Panthers went to the national championship game. It had been a long time since the Panthers hosted a game this important on their home field. Thirteen years, to be exact. But the wait was worth it. Despite losing on the road in the second round of the tournament to Duke, bringing FIU’s final record to 12-2-4, the 2017 season serves as both the culmination of a long process to bring the Panthers back into the national spotlight and a springboard for what is to come. 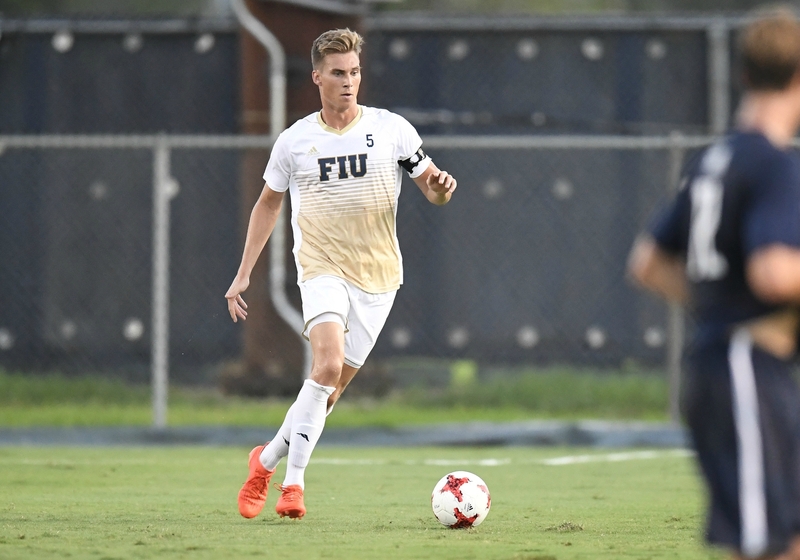 By the time Marvin Hezel arrived on campus from Germany to play for the men’s soccer program in 2013, the memories of FIU’s glory days were all but forgotten. The program’s colorful history includes two Division II national championships, a magical run to the Division I finals in 1996 and alumni who have gone on to become stars in Major League Soccer and in international competition. After moving to Conference USA in men’s soccer in 2005, the program hit a brick wall. Going into their first year as a C-USA member, FIU had earned three consecutive NCAA Tournament appearances and regular season conference championships in the Atlantic Soccer Conference. After a modest first season in C-USA, the Panthers failed to crack a .500 record in eight of their next nine seasons. During that same timeframe, they never finished a season with more than two wins in conference play. There was a new plan in place, however. A process that Hezel and his teammates were able to see to completion. 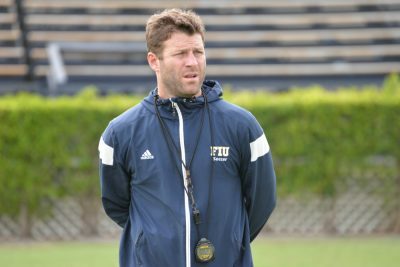 The plan to breathe new life into the men’s soccer program began when Kenny Arena, the son of two-time U.S. Men’s National Team and Los Angeles Galaxy Head Coach Bruce Arena, was tabbed as FIU’s head coach in 2012. In July 2012, Arena brought in Kevin Nylen, an up-and-coming coach, to be his top assistant. Arena left FIU after two seasons, but Nylen stayed and continued laying down the foundation that would pave the way for the success the program enjoyed under Scott Calabrese – Arena’s successor – and now Nylen himself. Under Calabrese in 2015, the Panthers surprised everyone and stormed through the conference tournament to capture the program’s first C-USA title and a berth in the NCAA Tournament for the first time in 11 years. It was a validation that the process was working. The Panthers fell one win shy of back-to-back C-USA titles in 2016 after losing in the conference championship game. Shortly thereafter, Calabrese left for another coaching position, and Nylen – who spent 2016 as a head coach in Orlando City SC’s (MLS) Developmental Academy – returned to take over and continue the process he helped start. “It was a no-brainer to come back,” Nylen said. “I knew every single guy on the team, I knew this place, I care these players and the program and to get that opportunity was special for me. The team answered the call in a big way. After racking up some early wins in the season, the Panthers encountered the first major obstacle to their season: Hurricane Irma. The storm postponed one game and cancelled another as the team was forced to relocate to Birmingham, Ala., for more than a week. What appeared to be a setback and hindrance on the surface wound up being a formative moment for the team. “Being together almost every minute for those 10 days, it builds chemistry and when you’re winning games everything is good. It made team stronger,” said junior forward Santiago Patino. In October, riding a winning streak and climbing the national rankings, the Panthers faced another defining moment in Fort Myers against in-state rival FGCU. Down by a goal in the final minutes and playing with a one-man disadvantage, the Panthers’ undefeated season was in serious jeopardy. But with 25 seconds left in the game, Hezel delivered the equalizing goal with a header to force overtime and Alessandro Campoy scored the game winner in the 110th minutes to secure a 4-3 win for FIU. The season-defining victory was part of an eight-game winning streak and showed the Panthers that they were capable of anything. “We knew when we beat FGCU that we were not a regular team; we were something different,” said Patino, who scored a conference-best 15 goals en route to being named Conference USA Player of the Year. Pictured above: The team stands in front of a packed stadium at the NCAA Tournament game versus Omaha.